The current hostilities between the state of Israel and the Palestinian inhabitants of the Gaza strip (it is telling that even the act of naming the participants in this conflict can be controversial) has brought the Israeli missile defence system, named Iron Dome, into the news. Iron Dome has been described as revolutionary. In truth the most revolutionary thing about the system is that it works. Similar technologies used in the past have not been as effective. Having a working missile defence system raises serious non-technical issues. Targets for Iron Dome are essential artillery rockets. 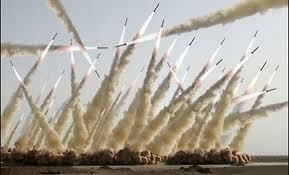 That is, missiles original designed to be used in mass on the battlefield as artillery. In this case Hamas is using them essentially as strategic weapons, targeting broad areas in an attempt to influence Israeli policy. It is important to note that by design these weapons are inexpensive and comparatively inaccurate. The interceptor missiles used by the Iron Dome system are neither inexpensive nor inaccurate. In some cases missiles worth tens of thousands of dollars are intercepting rockets worth thousands of dollars. From a strictly accounting point of view it may not be worth while, economically, to spend so much money to protect targets which do not have great monetary value. Needless to say, democracies do not always have the luxury of using strict accounting methods to determine public policy. A policy of spending what ever is necessary to protect anything and everything may get a government re-elected but at some point economics do have their say and a nation and a government that has become destitute will find they have lost the ability to control there own destiny. One of the things that make Iron Dome successful is its ability to decide if an incoming rocket will land in a populated or unpopulated area and make its priorities accordingly. This is a matter of programming and therefore a matter of complexity. Who decides what is an unpopulated area, who decides which areas are too difficult (by reason of terrain features or proximity to launch sites) to defend? These questions have already found there way into Israeli courts. It has been suggested that US financial support will be relatively easy to obtain given the defensive nature of this system. It is important to remember that all military choices have multiple consequences. Money spent on Iron Dome can not be spent on more overtly aggressive weapons systems but by the same token Iron Dome forms a shield under which aggressive weapons can be used. What does this have to do with Canadian Defence, aside from the current government’s unquestioning support for Israel? Questions of cost to benefit ratios in a democracy will always be an issue. The choice of how much to spend and what is necessary may depend more on the public perception of threats then the opinion of the professionals we pay to advise us on these matters. The options inherent in the purchase or indeed the non-purchase of any weapon are not always immediately obvious and that lesson alone is an important one for any nation.